How would you feel if you had paid off five credit cards but then got your credit reports and saw they had been marked “uncollectable?” We know of one woman who had this exact thing happen to her. She had borrowed money to pay off her credit cards. But these payoffs were never recognized by her lenders and appeared as charge-offs on her credit reports. She started being hounded by debt collectors and had potential employers ask about her debts. You can just imagine what this did to her credit score. For the following six months, this woman sent and resent letters along with copies of payoff notices to the credit reporting bureaus and the card issuers. However, nothing worked and she eventually gave up. She felt that she didn’t have enough money to hire an attorney and fight the credit bureaus. Unfortunately, this woman’s credit situation is not unique. 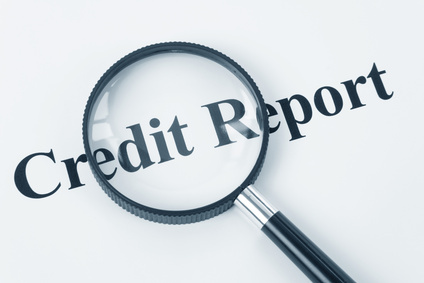 There are millions of credit reports that contain errors, some of which are much worse than others. One recent study by the FTC (Federal Trade Commission) found that one in 20 consumers had an error so bad on one of his or her credit reports that they are probably paying higher interest rates on their loans. Even though an error in your credit report could seem innocent, it can cost you thousands of dollars in higher interest charges over a year or two. Plus it could cost you additional money in the premiums you pay for your auto and homeowners insurance. This is why it’s so important that you get your credit reports from the three credit bureaus – Experian, Equifax and TransUnion – at least once a year. When you do get these reports, it’s important to go over them very carefully looking for the following items. If you do find one of these credit score-killing items in one or more of your credit reports, it’s important that you dispute them. You have the right to do this under the Fair Credit Reporting Act. Here’s how this works. Step one: Write a letter to the appropriate credit-reporting bureau disputing the item. Make sure you have documentation supporting your claim. You must include it with your letter. Be aware that there are some important things to know about writing a dispute letter as explained in this video. Step two: The credit reporting bureau must respond to you within 30 days of the date that it received your letter. However, it may have extra time if you didn’t send in all of your documents at the time you filed your dispute. Step three: The credit bureau is required to investigate your dispute. Unfortunately, the word “investigate” is defined very loosely. In many cases, the credit bureau will simply go back to the creditor that furnished the information and ask it to verify it. Step four: In the event the creditor is unable to verify the item or if it fails to respond within 30 days, the credit bureau is required by law to delete it from your credit file. You should get your credit reports at least three months before you apply for a mortgage or some other loan. It’s important to do this before you apply and not afterwards. This is essential for two reasons. First, you want to make sure the information you’re looking at is current. A report that’s six months old could actually have been updated with bad information between then and now. Second, the report you receive as a consumer is much easier to read and understand than the report a lender receives. Some people will get a copy of their credit report from the lender and use this as the basis for their dispute. But the report a lender gets is coded so that a computer can read it. There have been cases where this information was merged with other information or other reports and so turned out to be very confusing. When you do credit disputes, you need to send in copies of all the documentation you have regarding it. You should send this to the credit reporting agencies and the original creditor. This would include emails, letters or faxes, canceled checks – copied back and front – and billing statements. You should send this information to the creditor at least a week before you file your dispute with a credit bureau. This is so that when the credit bureau contacts the creditor, it will have all the important information in hand. If you can’t get the dispute successfully settled with the credit-reporting bureau there are other things you could do. You could add a statement of dispute to your credit file explaining why you disagree with an item. Second you could get the Consumer Financial Protection Bureau involved. It accepts complaints online but only after you have filed a dispute with the credit bureau. The CFPB will send again your complaint to the credit bureaus and request another investigation. Third, many attorneys who deal with credit report disputes will work on what’s called a contingency basis. This means you are not required to pay them unless you receive damages from a settlement or a lawsuit. Some also offer free consultations that would help you put together your disputes, including even drafting the dispute letter. You might be able to get help from a consumer advocate group. And a credit-counseling firm that is part of the National Foundation for Credit Counseling might be able to help guide you through filing a dispute.